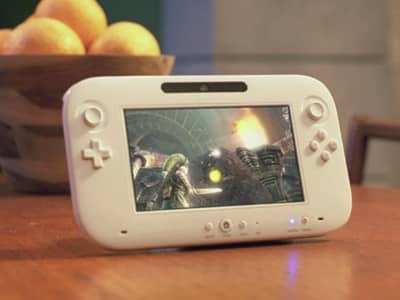 Nintendo are to showcase the Wii U at the 2012 International Consumer Electronics Show (CES), due to take place between Tuesday 10th January – Friday 13th January, CNET report. You shouldn’t get your hopes up, however, as a Nintendo representative has clarified to Game Informer that it’ll be there purely to show media who weren’t at E3 2011 the series of technical demos that were available. “Nintendo of America, working with the 2012 International CES management, will offer demos of the upcoming Wii U console to members of the media who did not see the system at the 2011 E3 Expo,” the Nintendo of America representative explained. “However, Nintendo will not have a booth at CES, nor does it plan to include any games, experiences or information beyond what was available at the 2011 E3 Expo. In the past Nintendo hasn’t normally had much of a presence at the show, just last year marking their first appearance in an approximate sixteen years with the company taking to the show floor to demonstrate the prowess of their Nintendo 3DS. Nintendo CEO Satoru Iwata previously stated that the Wii U’s “final form” was to be saved for a reveal at E3 2012.